Mormon missionaries Mason Wells, 19, Joseph Empey, 20, and Richard Norby, 66, (left to right) are among the Americans hurt in a series of terror attacks in Belgium's capital city the morning of Tuesday, March 22, 2016. The U.S. State Department said Wednesday it is aware of about 12 Americans injured in a series of deadly blasts that rocked a subway station and international airport in Belgium's capital city Tuesday morning. State Department Deputy spokesman Mark Toner said in a statement, "At this time, we are not aware of any U.S. citizen deaths. We must emphasize that a number of U.S. citizens remain unaccounted for and the Kingdom of Belgium has not yet released nationality information for reported fatalities." He said the U.S. government is "making every effort to account for the welfare of both Chief of Mission personnel and U.S. citizens in the city." Toner did not identify the injured Americans or provide information on their conditions. At least 31 people were killed and 270 wounded in Tuesday's bombings at the Brussels airport and subway. NBC News reported Tuesday, citing military officials, that a U.S. service member and four members of his family were among the Americans injured. Their identities have not been released, but one official said their injuries are not believed to be life-threatening. According to The Associated Press, an Air Force officer, his wife and four children were hurt at the airport. It's not clear if the Air Force officer is the same service member mentioned in NBC News' report. Three Mormon missionaries from Utah were also hurt. 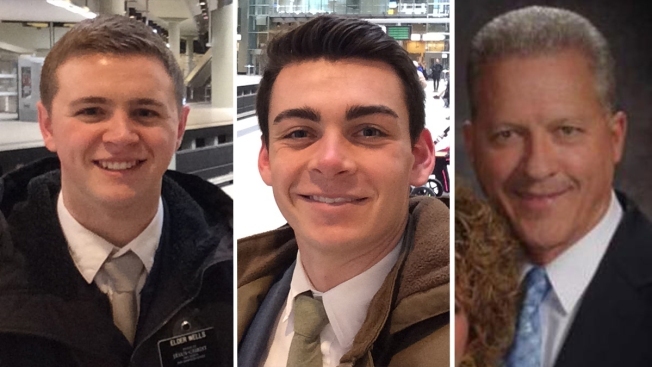 The Church of Jesus Christ of Latter-day Saints issued a statement Tuesday identifying the missionaries as 66-year-old Richard Norby, 20-year-old Joseph Empey and 19-year-old Mason Wells. Church officials said the three men were near the site of an explosion at Brussels Airport and have been hospitalized with serious injuries. They were serving in Paris and traveling with a fourth missionary, 20-year-old Fanny Rachel Clain, of France, who was on her way to an assignment in Ohio, church officials said. Norby's family said in a statement issued by the Mormon church Wednesday that shrapnel caused severe trauma to his lower leg and he also suffered second-degree burns to his head and neck. Following a lengthy surgery, he is now expected to stay in a medically-induced coma for a few days. His family said a lengthy recovery is expected. Caution: may be disturbing to some viewers. 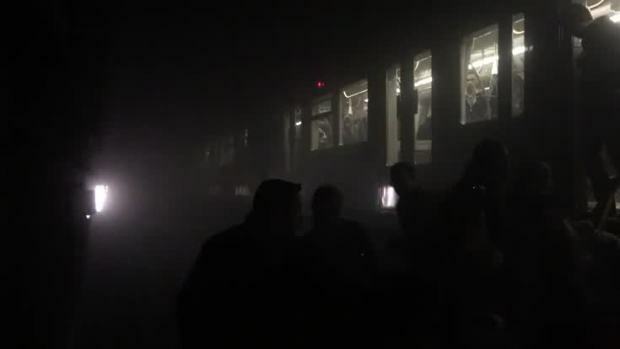 Video shows blown-out metro car doors in the aftermath of bombings at the Maelbeek Metro Station in Brussels, Belgium. His wife, Pamela Norby, wasn't at the airport when the explosions happened Tuesday. The Church of Jesus Christ of Latter-day Saints said 20-year-old Joseph Empey of Santa Clara and 19-year-old Mason Wells of Sandy were also seriously wounded but have been awake and have spoken to their families. Empey suffered second-degree burns to his hands, face and head and underwent surgery for shrapnel injuries to his legs, his family said in a statement. "We have been in touch with him and he is grateful and in good spirits," the family said. 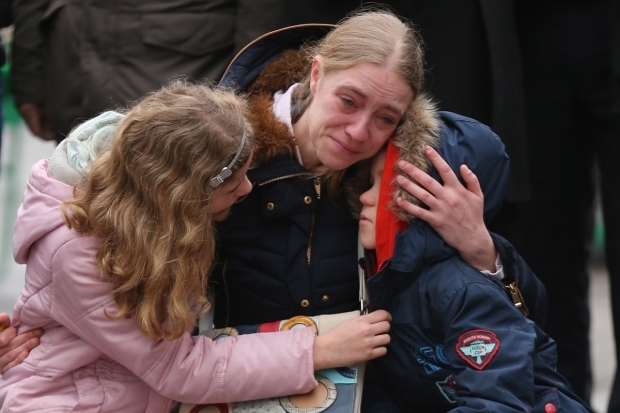 The church's governing body, the First Presidency, also released a statement Tuesday, saying, "Our prayers are with the families of the deceased and injured, including three of our missionaries who were injured and hospitalized. We also pray for the people of Belgium and France as they continue to deal with the uncertainty and devastation caused by the recent terrorist attacks." Family members of an American couple living in Belgium told NBC News the two are missing. Justin and Stephanie Shults had just dropped off her mother at the airport when two blasts went off. "Her mom is fine but no one has been able to contact Justin or Stephanie," Justin Shults' brother, Levi Sutton, told NBC News. He added that the State Department told him Tuesday afternoon that the pair were not on any casualty list. Justin, 30, is originally from Gatlinburg, Tennessee, while 29-year-old Stephanie is from Lexington, Kentucky, but moved to the Belgian capital in 2014, Sutton said. Both work as accountants. Eleven people died at the airport and 20 were killed at a nearby metro station, according to Brussels' mayor and Belgium's ministry of health. 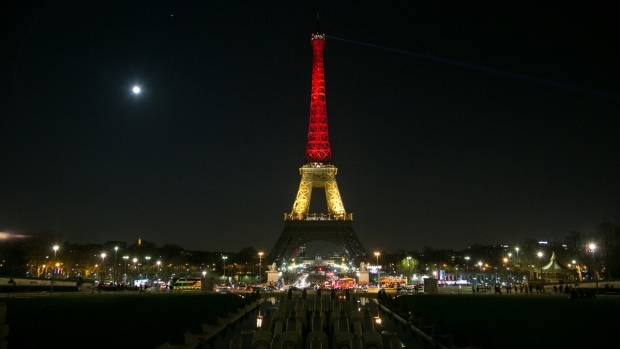 Paris prosecutor said Wednesday 270 people have been injured. Victims suffered fractures, burns and deep cuts from shrapnel, according to a hospital east of Brussels that treated 13 people. All three bombs detonated Tuesday contained large nails or screws, one of which was shown on X-ray embedded deep in the chest of a victim, according to a photo obtained by the European Press Photo Agency. Roughly 50 students from the University of Illinois studying abroad near Brussels are safe and sheltering in place, the university said Tuesday. The students are part of two separate study abroad programs in the area. Four students from Quinnipiac University in Connecticut were also in Brussels at the time of the attacks, three of whom were at the airport, according to the university. All are safe. 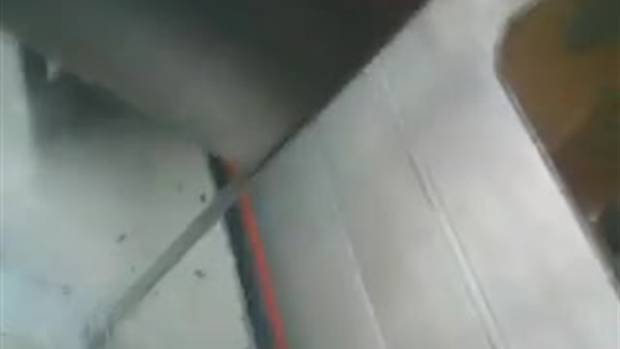 ***Warning: This video may be disturbing to some viewers. *** Passengers are helped off a metro train between Arts-Loi and Maelbeek stations in Brussels after a blast hit the train station Mar. 22, 2016, around the same time two other blasts rocked the check-in zone of Brussels Airport. ISIS has claimed responsibility for Tuesday morning's attacks. The suspected suicide bombers were named early Wednesday as Khalid El Bakraoui, 27, and his 30-year-old brother Ibrahim. There is no "specific, credible intelligence" of any plots against the United States like those carried out in Brussels, Homeland Security Secretary Jeh Johnson said Tuesday. But as a precaution, the Homeland Security Department is stepping up security at major U.S. airports and rail and transit stations around the country.